There have been two major brands that have threatened to quit Formula 1 in the last few years — Ferrari and Fernando Alonso. Okay, in Alonso’s case, one could argue that he was teasing about his departure than actually issuing threats. 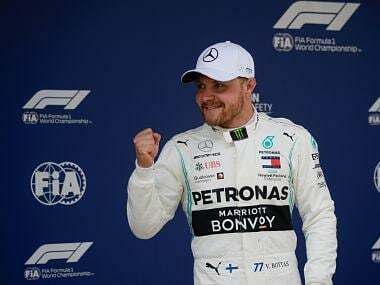 For those who attended his media sessions at the Grands Prix, like we did for Firstpost, his growing displeasure over missing out on a competitive car in Formula 1 was evident with every passing race. Eventually, and unlike Ferrari’s possibly-empty threats, Alonso dropped the bomb on Twitter, announcing his departure from the sport for 2019. McLaren’s carefully-worded announcement about their two-time world champion’s departure stayed away from using the word ‘retire’ whereas Alonso issued a clear statement that he would wish to be back in Formula 1 with McLaren if he had a competitive car at his disposal. Alonso, often regarded as the ‘most complete driver’ on the Formula 1 grid, has been without a win in Formula 1 for over five years. The story of how Alonso landed up in his current situation has been widely reported and discussed. In fact, like Alonso’s driving prowess, this too could be a good learning for young drivers — how not to build a career and network in the closely-knit world of Formula 1. 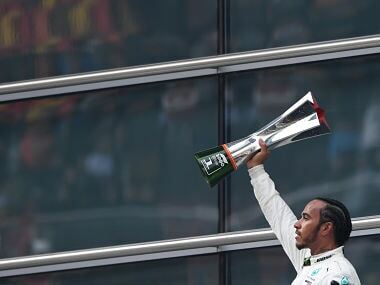 While Formula 1 fans wait to see which driver, Lewis Hamilton or Sebastian Vettel, will win his fifth title at the end of the 2018 Formula 1 Season, it is at moments like these when one wonders if Alonso could have amassed four or five World Championships himself. Let’s remember, he beat the Michael Schumacher-Ferrari partnership in their prime years and to think that he’s failed to win a single championship since his title triumph in 2006 makes one wonder where did this all go wrong for Alonso. However, it is time to discuss what could Alonso and McLaren’s future be. After realising that Schumacher’s tally of seven titles was out of reach, Alonso shifted focus on winning the ‘Triple Crown of Motorsport’ — an unofficial feat achieved by only other driver, Graham Hill. In the quest to win the triple crown, Alonso raced in the Indianapolis 500 last year and in the 24 Hours of Le Mans this year, a race that he won on debut. In fact, his early success at the 24 Hours of Le Mans would have prompted Alonso to take a break from Formula 1 and give a serious shot at claiming the ‘triple crown’ by participating in the full Indy Car season with the aim to win the Indianapolis 500 in 2019. While an official announcement is pending, Alonso and Indy Car dropped a strong hint on Twitter a few days ago. However, the only other question being whether he will combine an Indy Car program along with the World Endurance Championship. In an era where drivers are content with committing to racing only in one type of series, it is heartening to see Alonso take a different approach. As for McLaren, Alonso’s departure only adds to their existing list of departees and problems; both lists that are only getting longer. First, it was the power struggle that saw the exit of Ron Dennis, followed by the ouster of Eric Boullier, and if one may regard it too, Jenson Button was the first casualty of the failed McLaren-Honda partnership. Now with Alonso gone, and given McLaren’s current form, will the former world champion team be able to attract a formidable star to the team? The talks of Kimi Raikkonen returning to McLaren, in case Ferrari choose to let him go. have done the rounds, but one wonders if Raikkonen would like to see himself fighting in the mid-field or lower at this stage of his career. In which case, McLaren would end up needing to select between the services of Stoffel Vandoorne, a driver who is yet to beat Alonso in 2018, Lando Norris, their super-talent junior driver or Red Bull Racing and Renault’s discard, Carlos Sainz Jr. For McLaren, the only silver lining in Alonso’s departure would be his huge wage bill which would now be freed up to invest in building the team and their car further. Apart from their inability to hold Alonso back for one more season, McLaren’s management would be ruing the loss of Honda — a change that was actually forced upon them by Alonso himself. After being booted out by McLaren, Honda’s financial investments, free engines and works team status will now be available to rivals Red Bull Racing from 2019. Given the ‘Fernando Alonso’s law’ that everyone jokes about in Formula 1, one shouldn’t be surprised if both McLaren-Renault and Red Bull Racing-Honda are both competitive next season. What could bring Alonso back to F1? But could Alonso ever come back to Formula 1? ‘Never say never’ is the best way to answer this question which millions of fans would have wondered in the last 24 hours. It isn’t unlike Formula 1 and Alonso to do a u-turn; Alonso returned to McLaren in 2015 after their public divorce in 2007. Similarly, Schumacher made a comeback to the sport in 2010 with Mercedes after quitting at the end of 2006 under the Ferrari banner. Let’s remember, back in 2010, Schumacher had quit competitive Motorsport, whereas in Alonso’s case, he is at the prime of his career. Alonso could also follow his former Ferrari team-mates Kimi Raikkonen (who left Formula 1 only to return a few years later) and Felipe Massa back into the sport. However, the elements will need to be right for him to do so. First things first, McLaren will need to be competitive enough. If Honda was Alonso’s reason for displeasure in 2017, this season, his displeasure is with McLaren and their inability to deliver a fast car. The McLaren-Renault package is the slowest among all Renault-powered teams and Alonso would know enough to not believe that this situation would change in 2019 at least. However, could Alonso return to Formula 1 with Ferrari, Mercedes or even Red Bull Racing? Let’s remember, each of these three teams had/have potential vacancies for 2019 but they have overlooked Alonso’s talent and availability. It isn’t a surprise that teams would love to hire Alonso’s talent but not his personality. In which case, for now, Alonso’s return could depend on McLaren’s ability to bounce back. 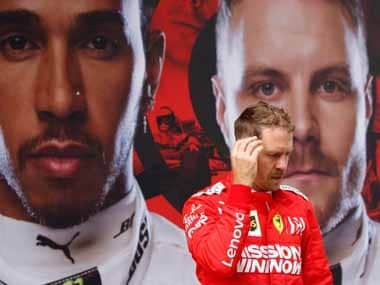 As for a return with either of the top teams, till such time Vettel and Hamilton hold station and power at Ferrari and Mercedes respectively, it would be difficult to see Alonso return as their team-mate. Yes, it is unfortunate that some of the best automobile brands in the world have succumbed to pressures from their star drivers, but if such a setting wins them World Championships, why would they challenge it? And also, it is disappointing that unlike the yesteryears of Formula 1, current teams seem afraid to have two star drivers in their garage. Red Bull Racing are happy to nurture Max Verstappen into their multiple title-winning driver and pairing him with a beast like Alonso could only cause harm — to the team and to their young driver. In the last few weeks, along with Force India’s financial struggles and ownership issues, Alonso’s departure is the second piece of negative news for Formula 1’s new owners. While Force India seem to have been saved, it is definitely Formula 1’s loss that their best driver has chosen to race elsewhere for next season. 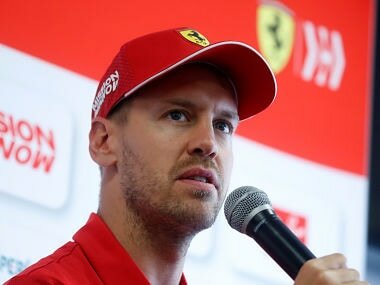 In his statement, Alonso thanked Liberty Media and Chase Carey for their efforts in ensuring that he stays in the sport — another sign of the political state of mind that has led to two of the top automobile brands in the world (Ferrari and Mercedes) publicly declining interest in Alonso. Come the 2018 Belgian Grand Prix, a race where we will be reporting from for Firstpost, there will be plenty of stories to narrate from the paddock. Force India’s new management, Daniel Ricciardo’s move to Renault and Alonso’s departure from McLaren and Formula 1. In fact, one could sense a bit of desperation in Ricciardo and Alonso’s moves — another hint that Formula 1 needs to be more competitive across the grid to ensure that talented drivers get a fair shot at glory. The current formula of Formula 1 needs to be re-written with examples such as Alonso’s in mind — needless to say, blaming Alonso’s attitude and personality alone for his predicament would be foolish. The sport is too skewed in its competitive quotient, one that needed a fix nearly a decade ago. Formula 1’s loss will most definitely be Indy Car’s gain. To be able to attract Formula 1’s biggest name will appeal to the series’ popularity and commercial value. Alonso is a crowd-puller and sponsor-friendly, the two factors that the series will be out to milk till such time they have Alonso’s interest. However, will McLaren rejoin the Indy Car to fuel Alonso’s aspirations? There has been conflicting talk in this regard in the last few months. At first, McLaren was eager to expand operations and business in America, but after their Formula 1 campaign for 2018 failed to deliver up to expectations, the management hinted that they would defer Indy Car plans to focus on rebuilding their Formula 1 business. In their second marriage, McLaren have known to bend over backwards to please Alonso, but to do so with a full-time Indy Car entry might be stretching it far too much. While there is hope that Alonso will return to Motorsport’s most-elite racing series someday soon and win his elusive third World Championship title, there’s also a feeling that tells us that the 2018 Formula 1 Season could well be Fernando Alonso’s last in the sport. In which case, thank you for the memories, Fernando and here’s hoping that Juan Pablo Montoya doesn’t beat you to the Triple Crown.